Young Performers Awards are adjudicated by respected musicians, composers, educators and classical music experts. We thank each of them for their time and expertise in supporting the career development of young Australian instrumentalists. 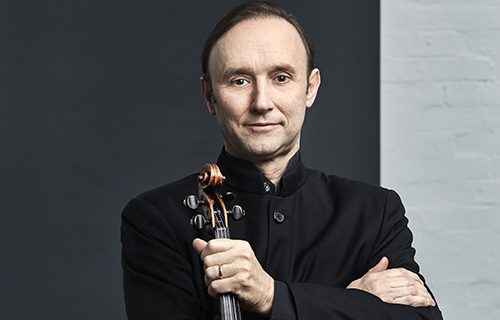 Dene Olding is recognised as one of Australia’s most outstanding violinists. He is currently first violinist for the Goldner String Quartet and the Australia Ensemble and Concertmaster Emeritus of the Sydney Symphony Orchestra. As a soloist he has worked with all of the Australian Symphony and Chamber Orchestras in a range of repertoire. He has performed over forty concertos and worked with some of the world’s leading conductors including Edo de Waart, Stanislaw Skrowaczewski, Jukka-Pekka Saraste, Stuart Challender, Sir Charles Mackerras, Jorge Mester, Gunther Herbig, Werner Andreas Albert, David Porcelijn and Vladimir Ashkenazy. He gave the Australian premiere performance of Lutoslawski’s Chain 2 with the composer conducting, Elliott Carter’s Violin Concerto and the Violin Concerto of Philip Glass. In addition, he has performed world premieres of violin concertos by Carl Vine, Ross Edwards , Bozidar Kos and the Double Concerto for violin and viola by Richard Mills, written for himself and his wife, Irina Morozova. Dene attended the Juilliard School In New York from the age of fourteen as a scholarship student of Ivan Galamian and Margaret Pardee. He graduated in 1978 with the Master of Music Degree and was awarded the Morris Loeb Prize. Other studies included master classes with Nathan Milstein and further lessons with Herman Krebbers and Gyorgy Pauk. In 1985, he was awarded the Winston Churchill Memorial Trust Fellowship to further his musical studies and during that year, became a Laureate of the Queen Elisabeth of Belgium International Violin Competition. Solo recordings include a sonata disc of Brahms, Beethoven and Mozart for ABC Classics with his father, Max Olding, the CD premiere of concertos by Frank Martin and Milhaud and concertos by Samuel Barber and Ross Edwards (Maninyas) – winner of the 1994 A.R.I.A. award for “Best Classical Recording” and the prestigious Cannes award. He has also recorded the Hindemith violin concerti with the Queensland Symphony Orchestra under Werner Andreas Albert for CPO. His numerous chamber music CD’s have also received acclaim. Recently, the recording of chamber music of Edward Elgar with the Goldner Quartet and pianist Piers Lane for the Hyperion label was selected as Gramophone magazine’s “Record of the Month” and spent time on the “Classical top 10” in the UK. His recording of the complete Beethoven string quartets with the Goldner quartet for ABC Classics was chosen Classical album of the year by Limelight magazine and a recording of rare Rachmaninov violin works with pianist Vladimir Ashkenazy also received praise from The Strad magazine. In 2011, he gave the premiere performance of the Carl Vine violin concerto with the Australian Youth Orchestra at the Sydney Opera House. As a member of the Goldner String Quartet and the Australia Ensemble, he regularly tours to Europe, Asia and New Zealand. He has been awarded the Centenary Medal of Australia and has received numerous awards and accolades for his performances in all spheres of music-making. Dene is passionate about the future of classical music and sees his role as Artistic Adviser and frequent jury member for the Michael Hill International Violin Competition as making an important contribution to that end. He also directs the annual Music in the Hunter Festival, a chamber music event that takes place in the Hunter Valley wine-making country near Sydney and manages to combine a passion for Aikido and sailing with his busy musical career and spending time with his wife, Irina and son, Nikolai. In 2017 Dene was recognised as a Member of the Order of Australia for his services to music in the Queen’s Birthday honours list. 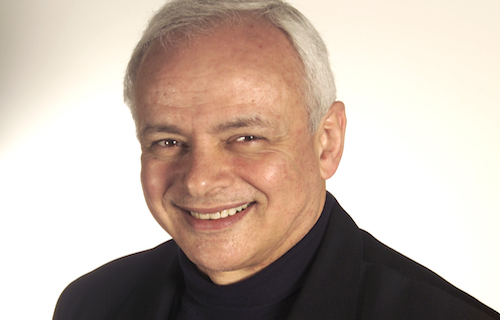 Dr Di Bresciani, Founder of YMF Australia (sponsor of the YMF Scholarship) completed a Music Degree at the University of Melbourne and subsequently obtained a Doctor of philosophy in music and psychology undertaken with a Post Graduate Research Scholarship. In the 1980’s her research achieved international recognition, with an invitation to visit the USSR by Dimitri Kabalevsky, publications in research journals and participation in Research Commissions for the International Society for Music Education. In 1988 Di founded the Youth Music Foundation of Australia Inc (YMF) which is affiliated with leading music /arts institutions in Australia, Italy, the US and the UK. In 2003 Di was selected Woman Achiever of the Year by the Australian Brain Foundation. Di is a life member of the Melba Trust Foundation, a Fellow of the Australian Institute of Music Teachers, a senior adjudicator for the Australian Music Examinations Board, a Life Governor of University College, Melbourne, Founder and Managing Director YMF and a Member of the Australian Institute of Company Directors. 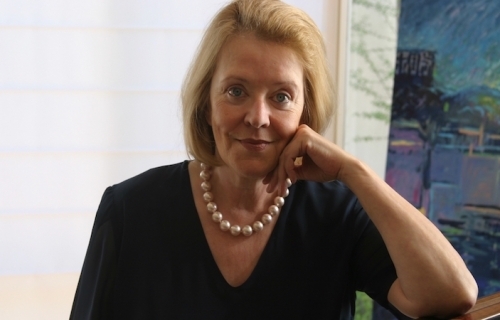 Di was awarded the Medal of the Order of Australia (OAM) of Australia in the Queen’s Honours List 2013 for her contributions to the visual arts, music and philanthropy. On April 6th, 2014 Trio Bresciani was launched at Melba Hall University of Melbourne, with three of Australia’s finest young musicians. On July 6th 2014 the Trio was launched in Brisbane Queensland. Trio Bresciani is the intersection between the hidden impulses of painting and music. 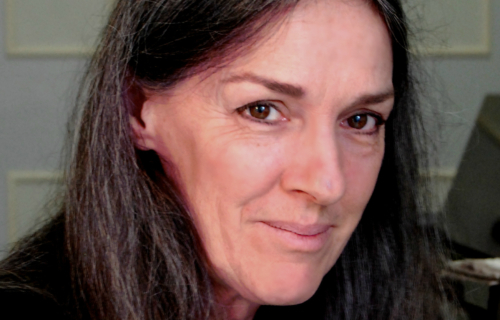 Charmian Gadd is a celebrated violinist, chamber musician and teacher. From humble beginnings, violinist Charmian Gadd has achieved a worldwide career as a soloist, chamber musician and teacher. Her first teacher was her mother, teaching herself at the same time. Then as a student at the Conservatorium High School, celebrating its centenary this year, she studied with Phillis MacDonald and later Richard Goldner, leading to overseas study with Josef Gingold and Henryk Szeryng . In 1962 she won the ABC Concerto and Vocal Competition. Overseas prizes in Philadelphia and Vienna followed . Under management in London in the 1960s and 70s she played extensively in the UK, Scandinavia, USA and Canada. In 1969 she settled in the USA, with Associate Professorships first in Pittsburgh and then in the Pacific Northwest. Her students are all over the world. In USA she was a founding member of the Piano trio, Trio Concertante and on return to Australia in 1987 she joined Kathryn Selby in the Macquarie Trio. She was Chairman of Strings at the Canberra School of Music and returned to Sydney Conservatorium in 1990. Now retired on the Central Coast she has served on the juries of several major international Competitions including the Menuhin Competition in Folkestone and the Japan Chamber Music Competition in Osaka. 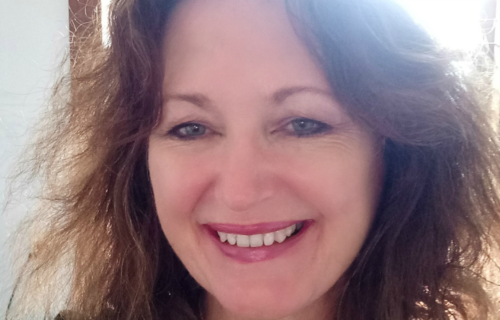 Dr Bernadette Harvey is an acclaimed soloist and chamber musician and a senior lecturer of piano and piano pedagogy at the Sydney Conservatorium of Music. She completed a masters and doctorate of musical arts at the Eastman School of Music (Rochester, New York) and has taught at the New England Conservatory and the Longy School of Music at Cambridge, Massachusetts. 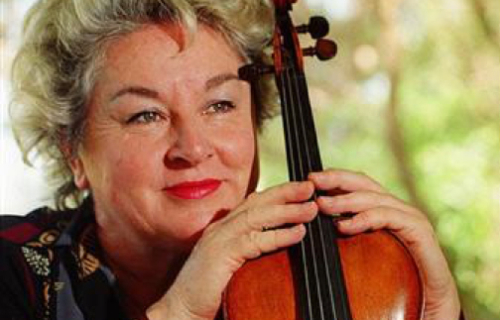 In 1997 she was the Artistic Director of the Australian Women’s Music Festival and in 2000 she was awarded the Centenary Medal for her contributions to Australian music. Harvey is currently researching injury-preventive keyboard techniques to enable her wide circle of students to maintain prosperous and injury-free careers. Stephanie McCallum is a piano soloist, known internationally for her work on the reclusive Romantic composer, Alkan, and for her many recordings and work championing unusual, new and Australian repertoire. Currently an Associate Professor of Piano at Sydney Conservatorium, University of Sydney, Stephanie has performed internationally in recital, as soloist with major Australian orchestras, and with AustraLYSIS, Sydney Alpha Ensemble, ELISION, Australia Ensemble, ACO, Kammer, Halcyon and other groups. Her live solo performances of Alkan have been described by critics as ‘titanic’, ‘awe-inspiring’, ‘stupendous’, ‘virtuosic pianism of the highest calibre’ and ‘one of the glories of Australian pianism’. She appears on over 40 CDs including 19 solo albums ranging through Liszt, Weber, Magnard, Xenakis and premier recordings of Alkan, Kats-Chernin and even newly transcribed Beethoven. Further recent premiere recordings of Alkan and of Ropartz, on Toccata Classics, have attracted much international acclaim. Her most recent performances and recordings have involved solo and four hands work on historic nineteenth century pianos. In June she released a CD on Toccata Classics containing previously unrecorded piano music by French early Romantic, Alexandre Boëly, performed on an 1853 Erard piano contemporary with the compositions. 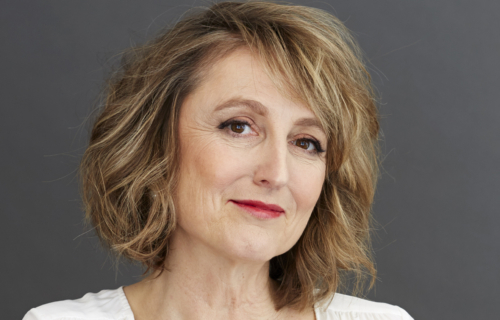 Catherine was a core member of the Australia Ensemble, resident at UNSW, from 1995-2012, touring nationally and to the USA, Canada, UK, Vietnam, Thailand, South America and New Zealand. She performed regularly as Principal Clarinet on many tours with the Australian Chamber Orchestra from 1994-2012, and was featured soloist with the ACO playing the Mozart Concerto on basset clarinet in 1997. She has appeared as a soloist with most orchestras in Australia and was a regular performer at the Huntington Festival and Australian Festival of Chamber Music. She has been a lecturer at the Sydney Conservatorium, Victorian College of the Arts, WA Academy of Performing Arts and has tutored for the Australian Youth Orchestra and Australian National Academy of Music. Awarded a Churchill Fellowship after graduating from ANU, studying with Donald Westlake, Catherine furthered her studies with Hans Deinzer, Antony Pay, Gervase de Peyer and Guy Deplus in Europe and the USA. Gregory is a celebrated classical guitarist and teacher. 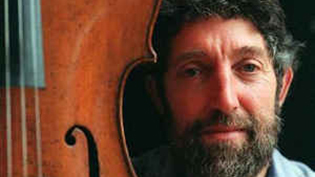 Born into a musical family Gregory Pikler came late to the guitar after earlier flirtations with the cello and flute. Heading to London to study at the RCM he found himself instead joining the Omega Guitar Quartet, one of the pioneering groups in the field of ensemble guitar music. Feeling that he should be making more of a contribution to the classical guitar in Australia he returned to take up a part-time position at the Sydney Conservatorium of Music and was subsequently appointed Lecturer in Guitar in 1979, a position he held continuously for well over 30 years. During that time he was assistant Head of School, chaired the Conservatorium’s String Department, a rare honour for a classical guitarist, and also served as a member of Sydney University’s Academic Board. Seeking a less fretful existence and feeling strongly that it was time for the guitar lectureship to have a younger incumbent, he retired from academia in 2012. Gregory has managed a number of international orchestral tours including the ACO, has been the federal specialist guitar adviser for the MEAB, a Doctoral and Masters examiner for a number of Australasian universities, and served on many national and international instrumental juries. His varied solo and chamber music career has taken him from a rain forest in Queensland to the Handel Festival in Germany, from Cable Beach in Broome to the First International Guitar Festival in Florence, from a basketball court in Manila to Westminster Abbey in London. When needed he continues to play the orchestral guitar parts with both OA and the SSO. Warwick is currently engaged as a consultant by The Australian Elizabethan Theatre Trust and holds the position of General Manager. 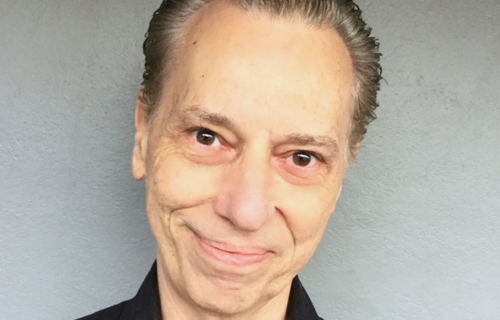 • Twenty two years in senior music administration and management including positions held with Arts Promotions & Management Services, London; Michael Edgley International and The Australian Elizabethan Theatre Trust. Alan Vivian is one of the country’s highest profile musicians. He has held the long-term orchestral positions of Principal Clarinet with the Sydney Symphony Orchestra, Australian Chamber Orchestra, and Canberra Symphony Orchestra. He has also performed as Guest Principal Clarinet with the BBC Symphony in London and with the Orchestra of the Vienna State Opera, as well as acting as Principal Clarinet with all of Australia’s major symphony orchestras. 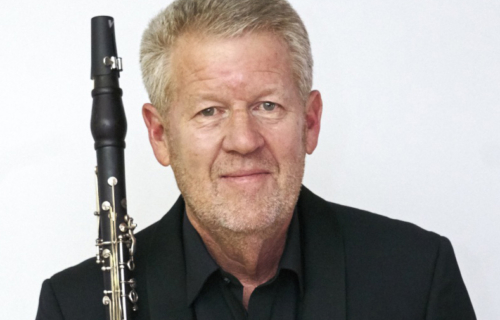 As a chamber musician, he has been a permanent member of the Australia Ensemble, performing the masterpieces of the chamber repertoire for clarinet throughout Europe, the USA, China and Australasia. He was a member of the Canberra Wind Soloists for more than twenty years. As a concerto soloist and recitalist, he has toured extensively. His performance touring has taken him to over twenty countries on five continents. He has recorded for the Sony, EMI, Polygram, ABC Classics and Revolve labels, and is a featured artist in Pamela Weston’s book, Clarinet Virtuosi of Today. As a teacher, Alan Vivian has presented master classes throughout Australia and the world, most recently as a Visiting Artist at the Paris Conservatoire. Former students are scattered throughout the globe, having been competition prize winners, recipients of international scholarships, and occupying permanent positions in Australia’s orchestras. 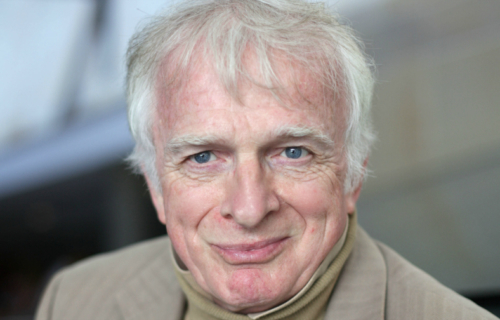 He was Professor of Clarinet at the Australian National University from 1985 until 2012. Nathan Waks is an Australian cellist, composer, record producer, arts administrator and wine company owner. Nathan Waks began his studies at the Sydney Conservatorium of Music with cellist Lois Simpson and chamber musician Robert Pikler. He won the ABC National Concerto Competition and travelled to Europe to further his musical education, training with Mstistlav Rostropovich in Moscow and Paul Tortelier in Paris. From being the youngest Principal Cellist of the Sydney Symphony Orchestra at age 19 to performing as a soloist with major Australian orchestras, Waks has enjoyed a career that has featured recording of film scores and accompaniment to international recording artists. He has organized concerts for singers Frank Sinatra, Rod Stewart and Tiny Tim. 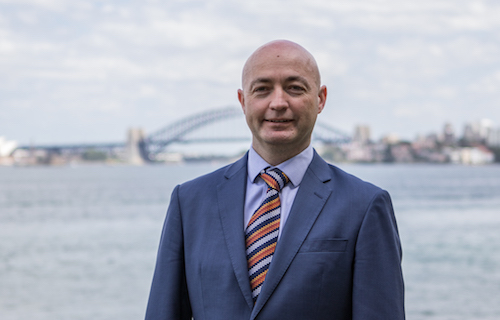 He is a founding member of the Australian Chamber Orchestra and the Australian Music Centre and has held directorships at the Australian Broadcasting Corporation, Symphony Australia, the Australia Council and the Australian National Academy of Music. He has toured to more than 50 countries and recorded for a decade with The Sydney String Quartet. He creates new music with Waks Generation, a collaboration with DJ and son, Sam, and has worked on musical projects with composer Charlie Chan. Nathan Waks is now proprietor and Executive Director of Kilikanoon and Seppeltsfield wineries. Nathan plays a David Tecchler-made 1723 cello. Gerard Willems is Associate Professor in Piano at the Sydney Conservatorium of Music. In 2008 Gerard was Guest Professor at the Hochschule fur Musik Freiburg, Germany. Gerard has performed in the USA, the United Kingdom, Europe, Asia, New Zealand, Australia and Israel having performed under conductors such as Sir Bernard Heinze, Nicholas Braithwaite, John Lanchbery, Nicholas Milton, Avnir Biron and Patrick Thomas. He has broadcast for Australian, Dutch, French, Austrian and Israeli radio. He completed a concert tour of Norway in 2010 where he played in Troldhaugen in Bergen. His many recordings include Piano Concerto No 1 by Franz Liszt with the Sydney Symphony Orchestra, the Complete Piano Trios by Mozart and the 32 Piano Sonatas by Beethoven. The Sonatas were awarded the ARIA prize in 1999 and 2000 as “best classical album of the year”. Gerard Willems teaches and gives masterclasses worldwide and is invited to be on juries of national and international piano competitions. He is regarded as a specialist in the first Viennese school. In 2012 he was appointed Artistic Director of the Southern Highland International Piano Competition and decorated with an AM for services to the arts as a concert pianist, educator and mentor to young musicians. In 2017 Gerard Willems toured USA giving lectures at UCLA, Brigham University and Juilliard in New York. He also gave masterclasses in Helsinki at the Sibelius Institute and Freiburg Hochschule in Germany and was piano examiner for Schola Cantorum in Paris. He plans to return to Europe in 2019 for concerts and lectures. Raff Wilson is the Director of Artistic Planning for the Sydney Symphony Orchestra. He began his professional life working for music publishers such as Boosey & Hawkes and Alfred Publishing Australia, and subsequently with Symphony Australia and ABC Classic FM. For the Sydney Symphony Orchestra he produced numerous recordings, and innovative concert performances of Mendelssohn’s A Midsummer Night’s Dream, Vaughan Williams’ Sinfonia Antartica, and Australia’s first opera, Don John of Austria, by Isaac Nathan. Working for the Hong Kong Philharmonic Orchestra from 2010 to 2017, he contributed to major developments in that orchestra’s artistic evolution, including the city’s acclaimed first performance of Ring cycle, conducted by Music Director Jaap van Zweden. Raff trained as a singer, studying with Robert Gard (Australia) and Clifford Lister (England). He holds a degree in languages from the University of Sydney.